After almost 3 years from the release of our last work, The Attraction of Opposites (May 2014), we are excited to announce the release date of our third studio album: The Invisible. It will be a concept album and it will be released on February 24 2017. The new album has been recorded between June and September 2016 at the Ravenstudio (instrumental parts) and at the Big Bang Studio (vocal parts), it is now through the mixing process, which is being done by Roberto Laghi (In Flames, Diablo Swing Orchestra, Entombed), who already worked on the mix of The Attraction Of Opposites. The master will be done by Jacob Hansen (Amaranthe, Delain, Epica, Primal Fear) at the Hansen Studios in January. The Invisible talks about a young library assistant, Coral, who lives and works in a small town in Colorado; but she is not born there, she grew up in an orphanage. Coral spends all her day between books and archives, that is probably because it is her passion, but also because she is not that great in communicating with other people. One day she finds a book with a peculiar picture, which reminds her of distant memories. From this moment on her life changes, because she starts a journey, inside and outside herself, without knowing where this will bring her and without knowing what she will find at the end of it. A risky trip, which could lead to nothing… or to everything. It is a complex journey, as you can see also from the tracklist, which takes place among full songs (in bold), interludes and words written by the characters of the story. It is a plot that has to be listened in its fullness to be completely understood. The single extracted from the new album will be Oscillation; it will come with an official video, which will be shot in mid-December with Max Valerio, eclectic and visionary director and photographer (http://www.maxvaleriophotographer.com/). 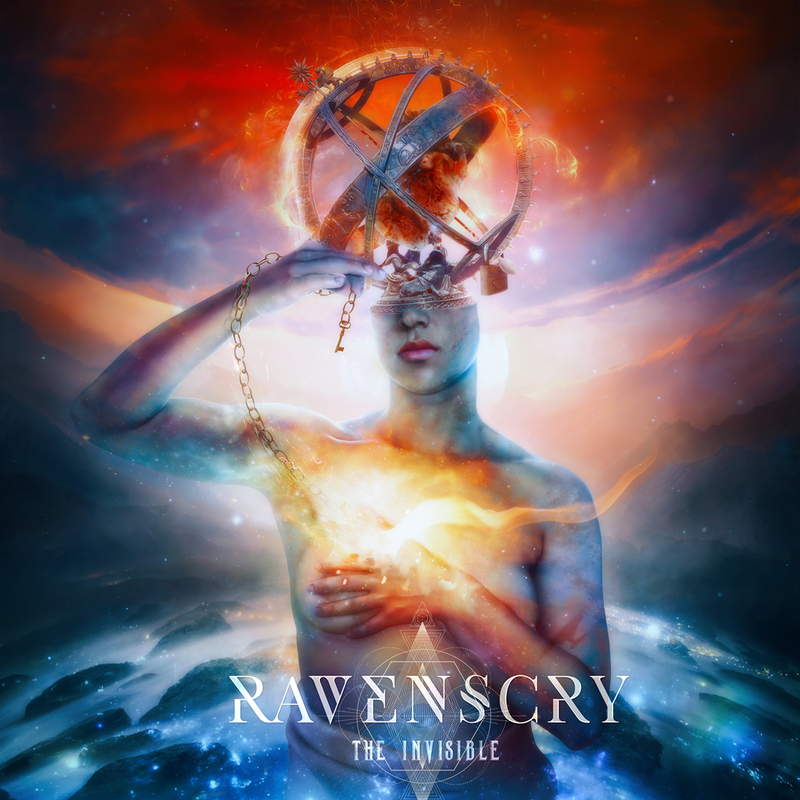 The artwork of The Invisible has been designed by Mario Sànchez Nevado, also known as Aègis Strife (http://www.aegis-strife.net). He is an illustrator and a storyteller, he has in his curriculum exhibitions at the MoMa and at the New York Guggenheim, but also many other international rewards of his work. Mark down on the agenda February 24 2017 for The Invisible, which will be distributed on all the digital platforms worldwide (except for Japan) by Audioglobe, and the physical format will be available worldwide (except for Japan) thanks to the brand new agreement signed with Plastic Head.